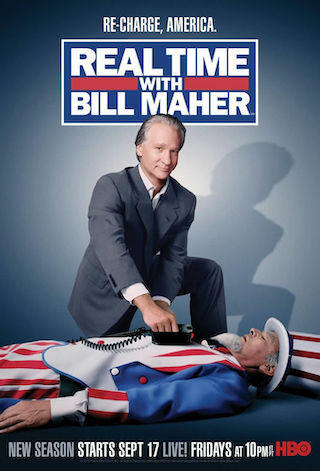 Real Time with Bill Maher is an American 60 minute talk show television series, which kicked off on February 21, 2003, on HBO and is broadcast every Friday at 22:00. The show is currently in its 17th season. HBO is yet to announce the renewal of Real Time with Bill Maher for Season 18 as well as its cancelation. Sign up to track down the show's status and its release date. Real Time with Bill Maher includes an opening monologue, roundtable discussions with panelists, and interviews with in-studio and satellite guests. Politico hailed Maher as "a pugnacious debater and a healthy corrective to the claptrap of cable news", while Variety noted, "There may not be a more eclectic guest list on all of television".